Sydney-based rockin' soul and funky pop band, The Soul Movers, are readying the release of their new album, Bona Fide, out March 15 through ABC Music/Universal. Fans will get a taste of the new album with the first single 'You Better Believe It!' released this Friday- January 25. 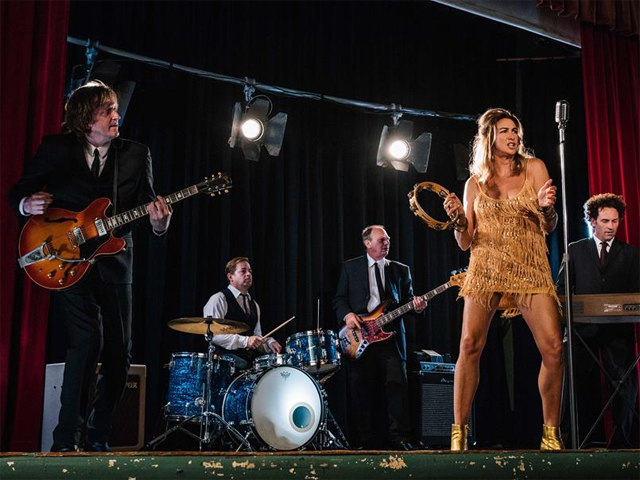 The Soul Movers features soul singer Lizzie Mack on lead vocals, ex-Red Wiggle and ARIA Hall of Famer Murray Cook on lead guitar, bass player Andy Newman (The Visitors), Marko Simec (Waiting For Guiness) on keys, and drummer Stuart Wilson (Loose Pills). Last year, the band traversed the US to record the tracks for Bona Fide at seven historic studios including FAME Studios, Royal Studios, Muscle Shoals Sound Studios and Sun Studio to name a few. Not only did they record in these hallowed studios, they were also lucky enough to play with some of the greatest session players. Bona Fide crackles with the intensity of a band at the peak of their powers and is sure to wow audiences with its powerful, upbeat and memorable tracks. A highlight of their US recording odyssey was their two days at Muscle Shoals Sound Studio when The Soul Movers recorded with the legendary Swampers, Spooner Oldham and David Hood. The Swampers were part of the in-house band playing on over 500 recordings. These include 75 gold and platinum worldwide hits like Mustang Sally for Wilson Pickett, Respect for Aretha Franklin, Mainstreet for Bob Seger and Tell Mama for Etta James, just to name a few. "For me, the most amazing and surreal moment was playing guitar on our song, If I Could Ever, looking over and seeing two giants of modern music, Spooner Oldham and David Hood grooving along" says Murray Cook. "Here were two men who have played on many of my favourite records and some of the greatest music ever recorded - and they were playing keyboards and bass on OUR record!"